The state-of-the-art Business School includes lecture theatres, case study rooms and break-out areas for group work and individual study. You'll also have access to the Common Learning Area and Business School cafe. The UWA Business School offers access to Bloomberg terminals – software that allows students to use the Bloomberg Professional service whereby students can monitor and analyse real-time financial market data. The computer system is used by students in Accounting and Finance. Anushka takes us through a typical day at UWA for a business student at UWA. From breakfast to classes to recreational activities, UWA is the perfect place to study, work or play. As a Bachelor of Commerce graduate, you can choose from a multitude of professional pathways. Graduates with a major in Economics may choose to enter the Master of Economics. Bachelor of Commerce graduates are also eligible to apply for a wide range of postgraduate business courses, as well as professional postgraduate degrees in Law, Medicine, Engineering (if they also hold a major in Engineering Science), and many other areas. Working at The Sunday Times/PerthNow is very exciting. As a manager you are required to be accountable for your actions, lead by example, involve people in the process and be prepared and professional at all times. Working at The Sunday Times/Perth Now is very exciting. As a manager you are required to be accountable for your actions, lead by example, involve people in the process and be prepared and professional at all times. I have learned through the experiences of others that you can only be a great manager if you have a plan and good strategic direction, stick to the plan and choose good people (both mentors and team members). The best analogy I’ve heard is that it’s very easy to be heavily involved in the fieldwork, but every now and then you need to make sure you get into your helicopter to see the full picture. In 2009, armed only with my UWA degree, a few hundred dollars and a ton of sheer determination, I headed to where the very best in their field come to turn their dreams and ideas into big business – London. In 2009, armed only with my UWA degree, a few hundred dollars and a ton of sheer determination, I headed to where the very best in their field come to turn their dreams and ideas into big business – London. I had no job lined up, no friends, no family and nowhere to stay. It was the security of my UWA Business School degree with its international recognition as a world-class teaching institution that provided me with the confidence I needed to persevere. After a few years working on multiple projects, I made the decision to follow my passion and today I own and run The London Pilates Company. 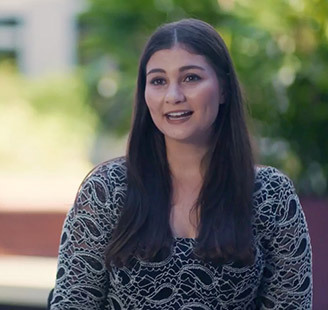 Real-world experiences are at the heart of the Bachelor of Commerce. This degree develops your analytical, communication and problem-solving skills, providing you with a global perspective on business and preparing you to pursue a career within the business, government or not-for-profit sectors. Learn from leading academics, develop high-level industry networks and graduate with a degree that can take you anywhere in the world. UWA's internationally accredited Business School celebrates strong links with the business community, allowing you insight into leading industry practice. Whether you're hearing from an industry guest lecturer, attending a career event, receiving an industry-sponsored scholarship or attending an exclusive lunch with corporate executives, you can confidently apply your skills in real-world situations. And, with a multitude of Business School student societies, you can attend professional development, networking and social events, all while taking part in a student-managed investment fund, leading a social entrepreneurship project or launching your own start-up enterprise. As a Commerce graduate, you’ll have the knowledge and skills to tackle some of the greatest challenges facing the world. You could find yourself working at a global advertising agency, starting your own social enterprise or entering the world of corporate finance, among many other career destinations. Where will your Commerce degree take you? Recent partners include ATCO, Bankwest, BDO, BHP, Ernst & Young, KPMG, Macquarie Group, Mitsubishi, UniBank, Woodside and more. Commerce has always been my passion, so I decided to major in Accounting and Finance at the UWA Business School. Commerce has always been my passion, so I decided to major in Accounting and Finance at the UWA Business School. After spending time working on my grades, pursuing worthwhile activities, editing my resumé and networking with industry professionals, I received an internship at Westcourt Chartered Accountants. This provided me with the chance to apply what I learned from books to real-life practical work, and lets me stand out from the crowd. My recommendation to all students, international or otherwise, is this: don’t be scared by what you perceive to be your limitations. Seize the initiative and make the changes you need to in order to live your life how you want to. 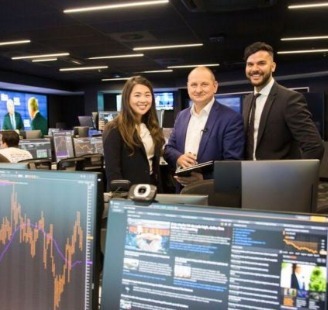 Students from The University of Western Australia’s Business School will have access to a state-of-the-art trading and analysis centre at The Rosemarie Nathanson Financial Markets Trading Room. 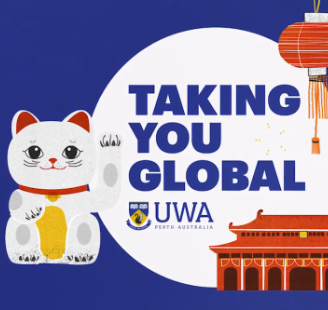 Complete some study in our international partner universities – UWA has the largest student exchange and Study Abroad program in the State. The Bachelor of Commerce offers eight majors enabling you to combine subjects in a way that matches your career goals and personal interests. You will have the opportunity to choose a second major from the Bachelor of Commerce or from the majors available in the Bachelor of Arts, Bachelor of Biomedical Science or Bachelor of Science degrees. You do not need to choose your final major(s) until your second year, so you can try out two or three different subjects to see which interests you most. 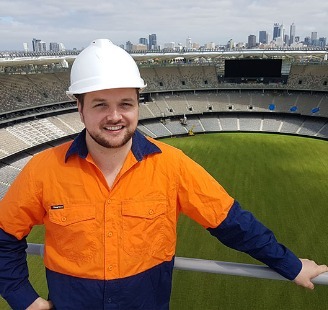 Jamie graduated from UWA with a Bachelor of Commerce and has since worked on commercial negotiations and technology aspects of the new Optus Stadium. UWA has a network of industry partnerships with over 30+ corporate business school partners including Bankwest, EY, Woodside, KPMG, BHP Billiton, Chevron and many more. You’ll be taught by academics who are experts in their fields and be treated throughout your degree to guest lecturers from some of our partners companies. Strong industry contacts will give you the added advantage of growing quality networks to draw on when you graduate. Our Business School’s the only one in WA accredited by the European Quality Improvement System (EQUIS) and the Association to Advance Collegiate Schools of Business (AACSB). This means a UWA business degree is recognised around the world, so you’ll really stand out to employers when you graduate. The Accounting and Finance majors are recognised by Australian and international professional bodies as a critical step towards gaining professional accreditation. Our Business School gives you access to the online learning platform at Harvard Business School to further enrich your study. 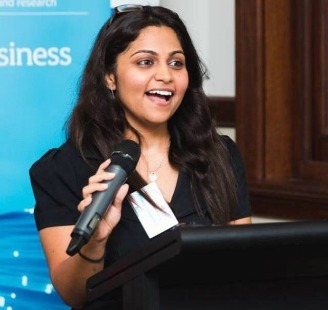 Hear from UWA Commerce graduate, Anshula Mansharamani about her journey at UWA and what’s next. In some companies a graduate would be given simple tasks, slowly worn-in to the corporate world. My first professional experience was nothing like this. It was a steep learning curve and it was challenging and intense, but also incredibly rewarding. In some companies a graduate would be given simple tasks, slowly worn-in to the corporate world. My first professional experience was nothing like this. It was a steep learning curve and it was challenging and intense, but also incredibly rewarding. From the first day I was given meaningful work and was trusted with a great level of accountability. This role gave me what I’ve grown to appreciate as being the two most important factors in success: confidence and resilience. I left that job three years ago and joined BHPBilliton in the Iron Ore division, and this is where I am today, in a manager role supporting the Asset President and Iron Ore Leadership Teams.